USD – Maximize the USD Screen by default. A common customization is to maximize the USD screen by default. After all it’s going to be your main application! 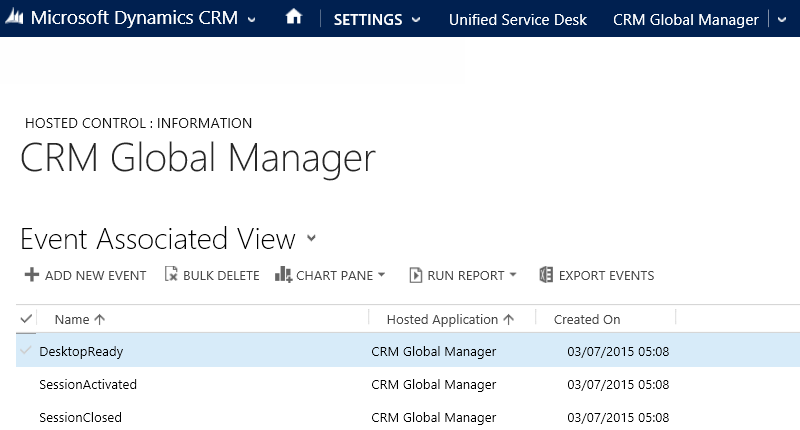 Add an action call on the SetWindowProperty action of Global Manager. Then add that action to the DesktopReady event to make the window maximize on load. Now go to the hosted control for the global manager, and select the events option. Locate the DeskTopReady event and add an action call for the action you’ve just created. Note the order field, this governs the sequence of actions when multiple actions are to be executed, as in the example below. Now next time you load USD the screen will maximize. A simple modification but one that greatly aids usability. I am trying to find a way to focus entire USD window when a certain event is fired (e.g. say the user alt+tabs away from USD. A phone call comes in. USD should pop up in front of other windows). I have tried using the “WindowState=maximized” as detailed here, but that just changes the size of the window and doesn’t bring it to focus in front of my other windows. Any idea of how I can accomplish my goal? If you try to change the WindowState to maximized and it is already maximized nothing happens. Try first running an action to minimize the window. Then run another one to maximize. That works for me. Only down side is that when USD has focus already you see the screen flicker.